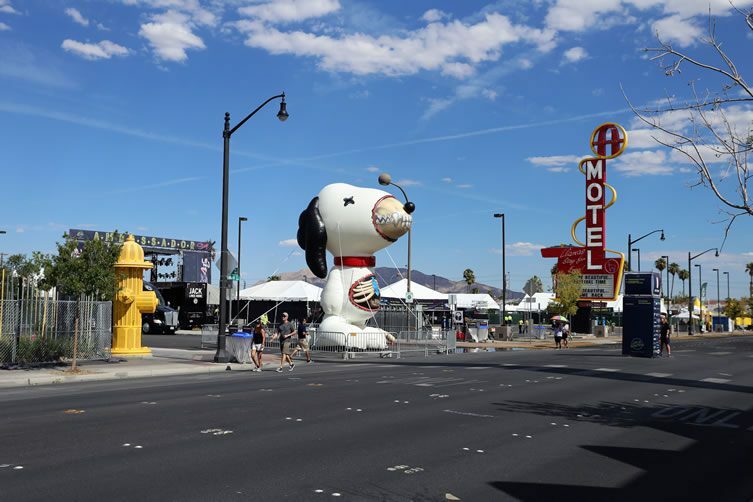 If Hello Kitty and Snoopy look like they’ve had a big night, well, it’s to be expected. 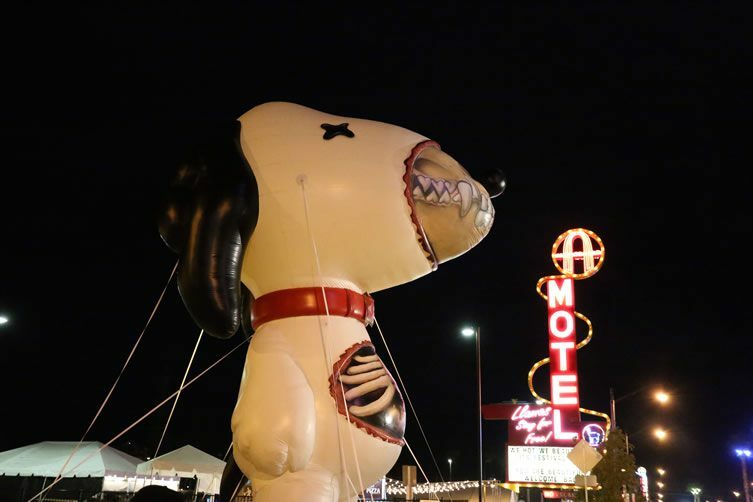 That kind of thing is par for the course in Las Vegas. 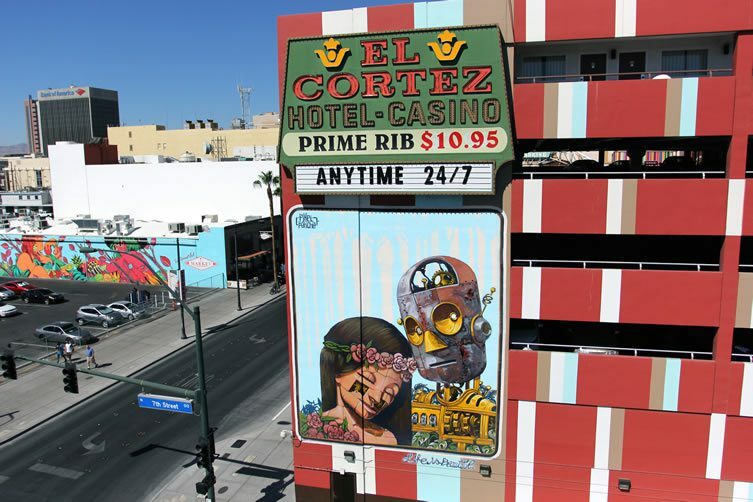 The giant zombified versions of the normally wholesome cartoon characters were to be found in the city’s Downtown area — quite a drunken stumble from the brightly-lit, adrenaline-fuelled playground of the contemporary casino strip. 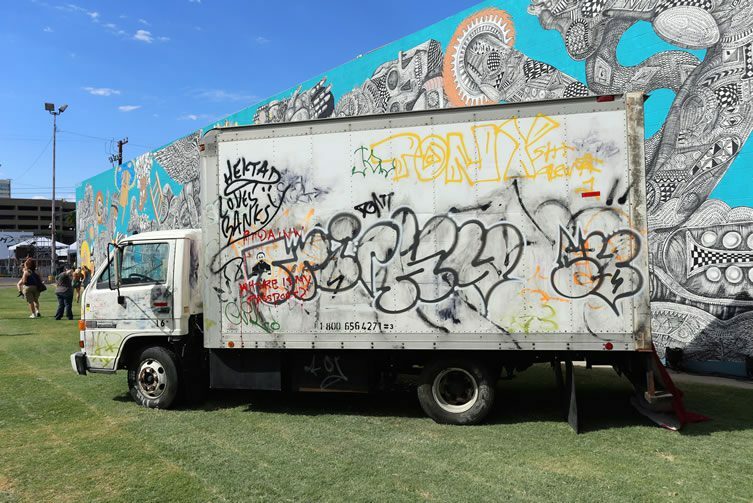 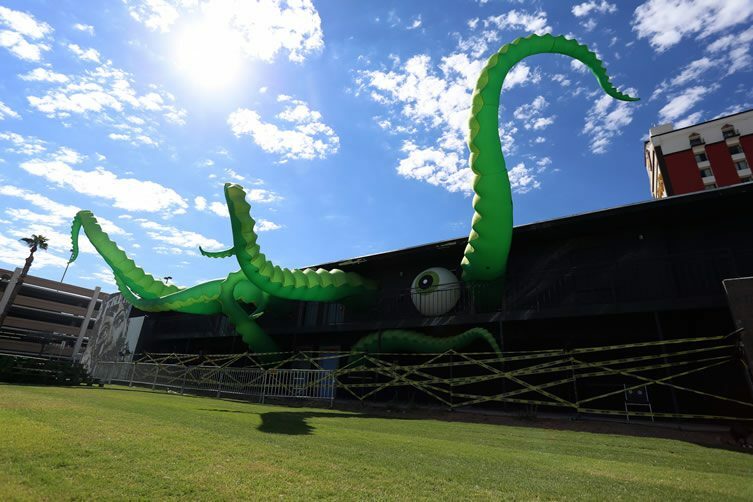 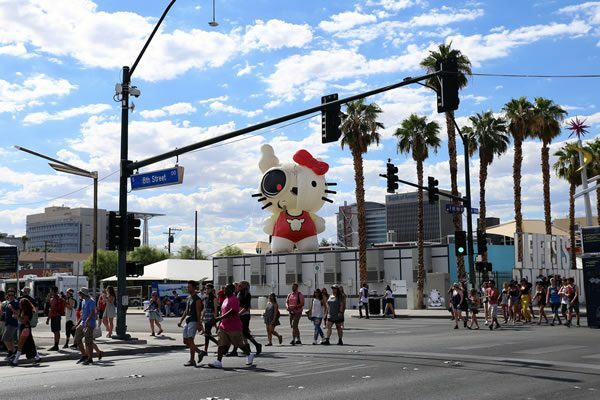 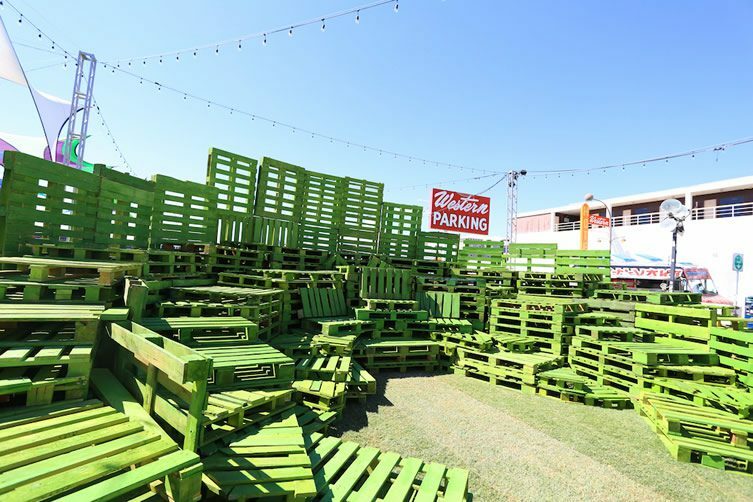 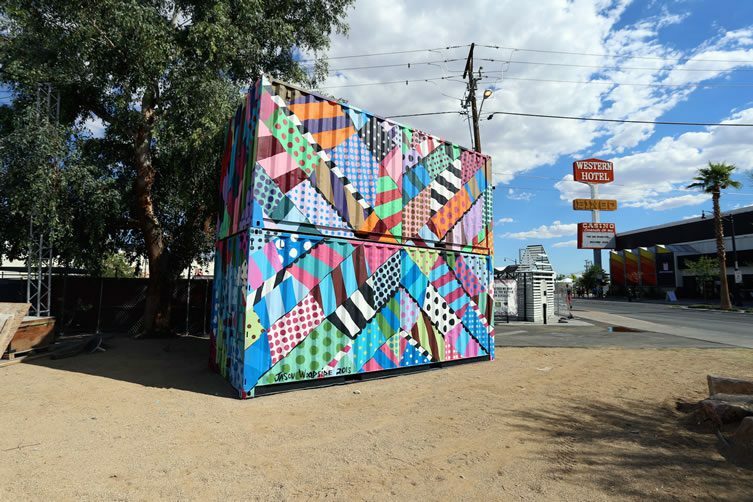 The pair of party animals were among a host of monumentally ace street art exhibits at Life is Beautiful, a three-day art and music festival curated by the JUSTKIDS collective. 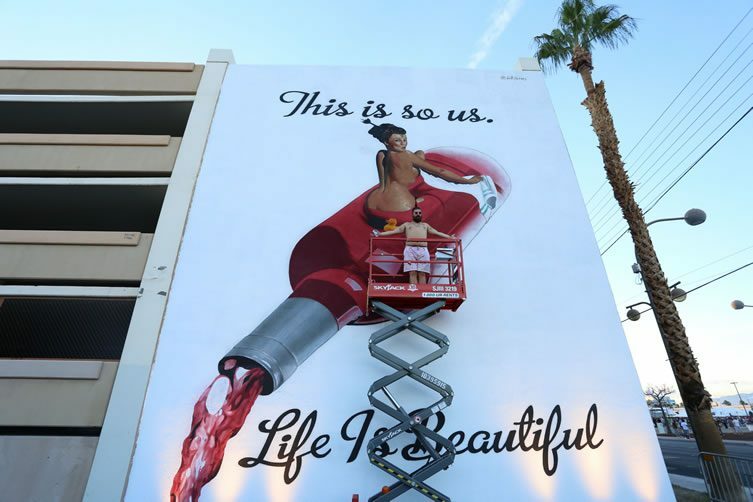 This year’s event was the third iteration, and the growing success of Life is Beautiful adds a significant cultural string to Las Vegas’s bow. 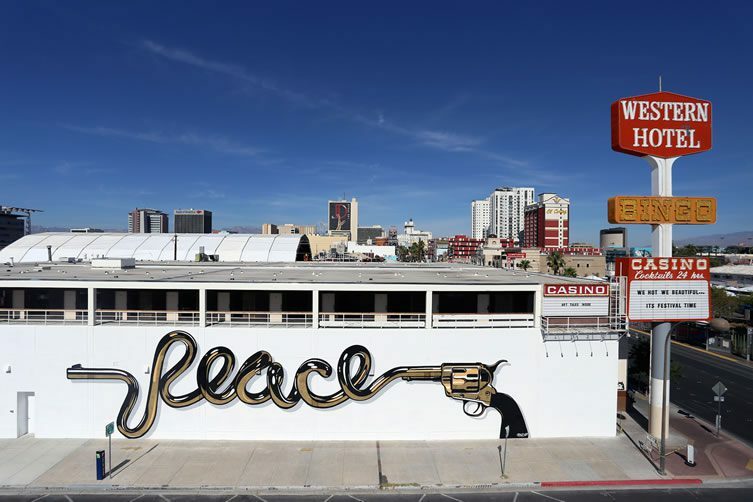 Many major US cities are now recognising the value of street art as a tourist draw, and as one would expect from Vegas, their festival didn’t do things by halves this year. 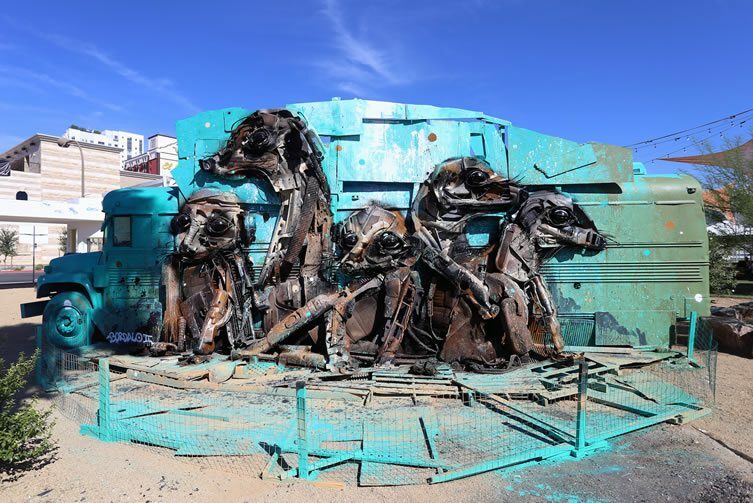 Chief among the crowd-pleasing sights was Portuguese artist Bordalo’s giant meerkat colony constructed out of scrap metal. 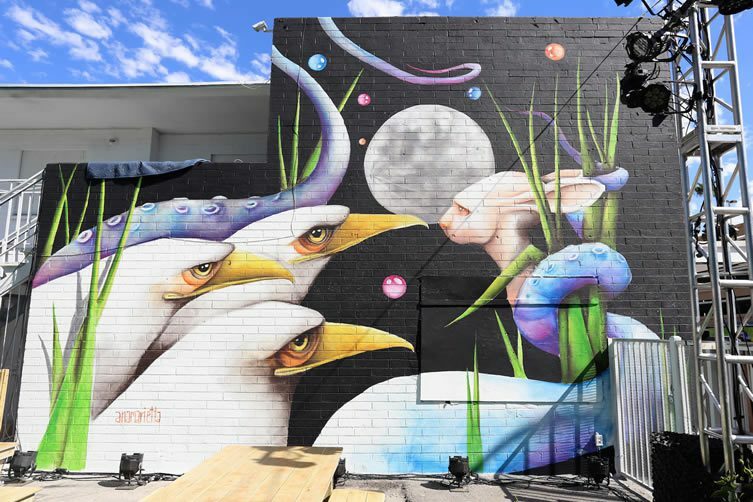 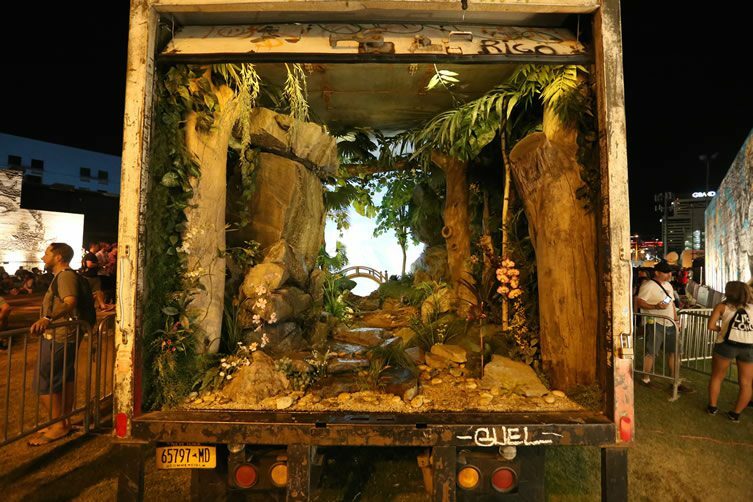 Major murals were also a feature of the festival, with eye-catching contributions from the likes of D*Face, Ruben Sanchez, Pixel Pancho, Filthy Luker and Pedro Estrellas. 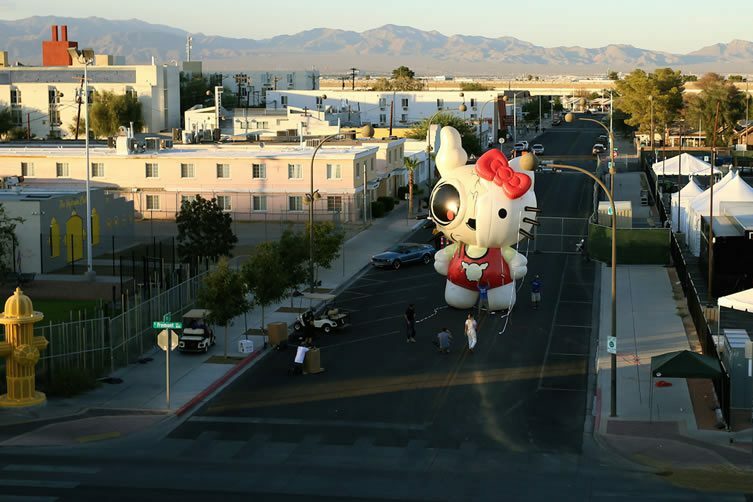 Little known street artist Banksy was also introduced to Sin City.